Please ensure there are no items in your cart before you clickthrough ShopBack. 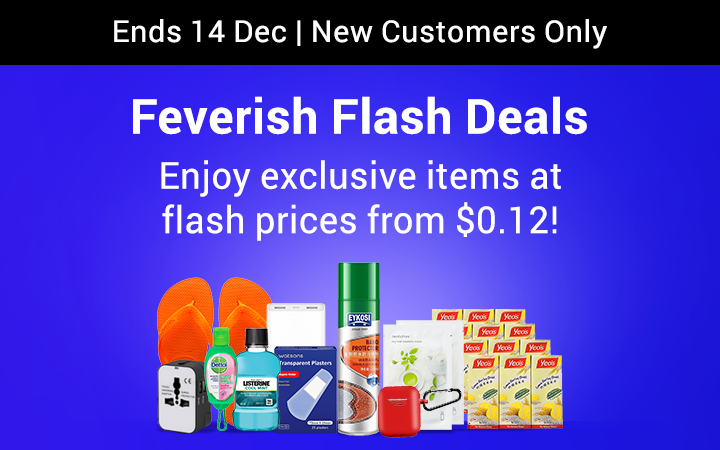 Promotion is valid from 5 Dec 2018, 0:00 - 14 Dec 2018, 23:59 only for items featured on this page. Limited to one item redemption per individual only throughout the whole campaign period. Limited to 1 quantity redemption of each product deal per individual only. Valid for new ShopBack customers only. New ShopBack customers are defined as users who have a registered ShopBack account but have not made a transaction via ShopBack before. ShopBack user must clickthrough this page to the Lazada / Qoo10 item page and buy within 1 window to qualify. Lazada / Qoo10 terms & conditions apply. ShopBack will not be held responsible or liable for any any claims, damages, losses, expenses, costs or liabilities whatsoever resulting or arising directly or indirectly from the transaction. Promotional Cashback is only applicable on items of the exact type, variety and colour as displayed on this page. If the customer bought from the same product link but of a different product variety with additional costs, ShopBack will only credit the difference of the paid price of the exact product variety that is displayed on this page and the promotional rate as featured on this page. In the case where there are discrepancies between the paid price of the exact product variety featured on this page versus the price displayed on Lazada / Qoo10 page, ShopBack will credit the customer based on the differential amount of the stated final price (After Cashback) displayed on this page and the actual paid price of the exact product variety featured on Lazada / Qoo10's page. i.e. If Customer A bought the Korean Honey Citron Tea (1kg) at $6.99, total Cashback credited will be $6.87. i.e. If Customer B bought the same Korean Honey Citron Tea (1kg) at $7.00, total Cashback credited will be $6.88. i.e. If Customer C bought the same Korean Honey Citron Tea (1kg) at $8.00, total Cashback credited will be $7.88. Promotion is not applicable on ShopBack transactions that are not tracked, transactions made from accounts suspected of fraudulent activity, payments made via Samsung Pay, Orders via Qoo10/Live10 mobile app, Gift card purchases / redemptions, returns, exchanges or cancelled transactions. ShopBack reserves the right to disqualify users who are suspected of fraudulent activity i.e. creation of multiple ShopBack accounts. ShopBack reserves the right the change the terms and conditions of this promotion without prior notice. Customers will receive up to 2% Cashback within 2 working days for Qoo10 purchases. Customers will receive remaining Cashback as Bonus Cashback credited into their ShopBack account by 14 January 2019. 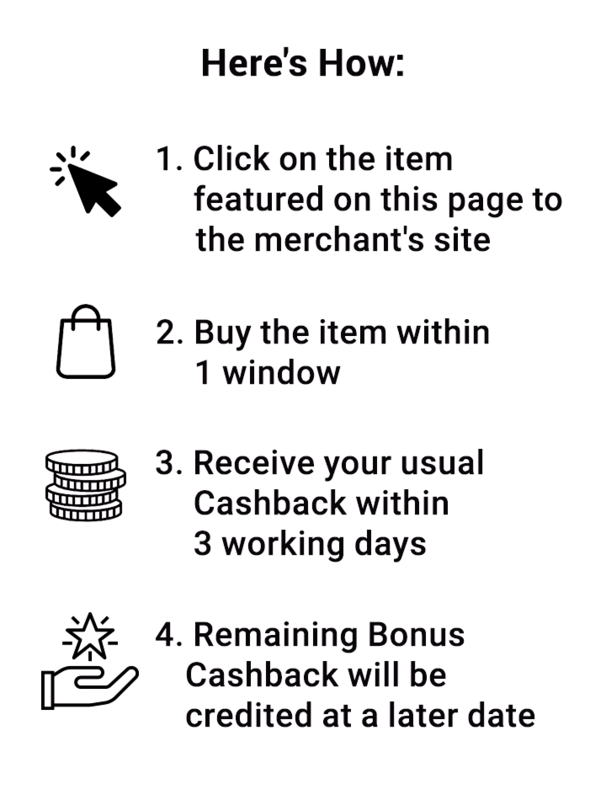 Customers will receive up to 10% Cashback within 2 working days for Lazada app purchases. Cashback is only applicable via Lazada App purchases. Customers will receive remaining Cashback as Bonus Cashback credited into their ShopBack account by 14 January 2019.